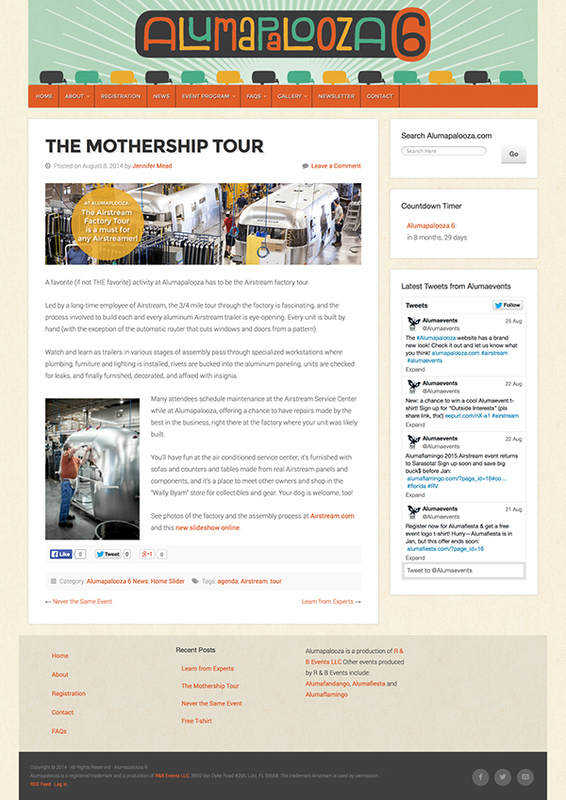 Alumapalooza is fun annual event for Airstream owners. Since the event changes every year and gets rebranded every year, it was important for this website to be based on a simple WordPress theme to make it easy to change. 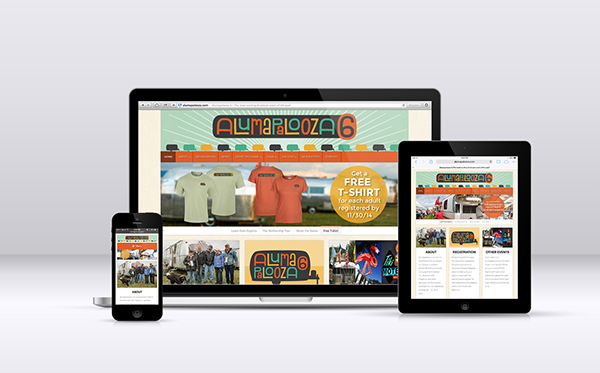 And, since the people interested in Alumapalooza are likely to be on-the-go, the website was designed to be responsive for optimal viewing on phones and tablets.